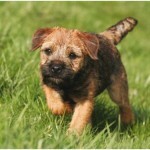 The Border Terrier is a small-sized terrier dog breed and is originated in England. 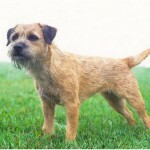 It was said that the dog was bred at the border of Scotland and England. This dog was the family of Bedlington Terriers and Dandle Dintmont Terriers. 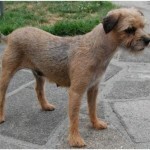 It is a small-sized dog breed belongs to terrier group. This dog has good hunting skills but nowadays it is used as a good companion dog. 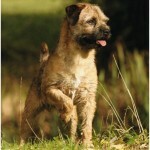 The temperament of the Border Terrier is friendly, strong willed, even tempered and intelligent. It takes some time to be friends with cats. 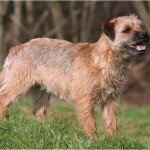 The Border Terrier becomes friends with other dogs in a short time. This dog can be trained easily and it is recommended to train the dog in the early stage. 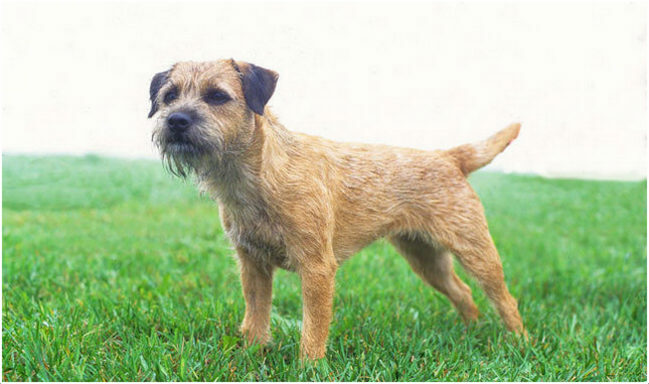 The Border Terrier dog is hypoallergenic. The price of this dog is about $800 to $1000. It is considered as the best watchdog and barks heavily if it is bored. This dog is popular and adapts well with all the family members in a short time. 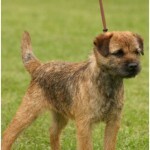 The Border Terrier looks small in size with short and strong muzzle. The nose is black in color and the eyes are in medium size separated widely. 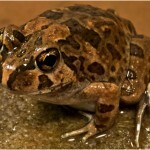 The v-shaped ears are folded and fall towards the cheeks. 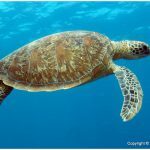 The tail is moderate in length and is thick. The outer coat of the dog is harsh and wiry whereas the undercoat is short and dense. 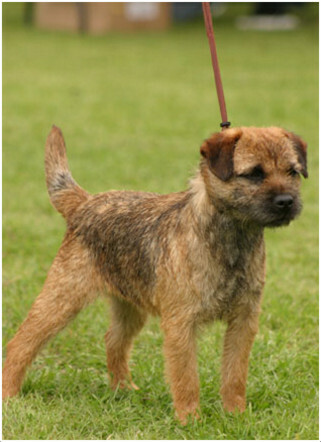 In general, the Border Terrier can be seen in red, blue and tan, grizzle and tan or wheaten colors. The height of the male dog is about 13 – 16 inches (33 – 41 cm) whereas the female dog is about 11 – 14 inches (28 – 36 cm) in height. The male dog weighs about 13 – 16 lb (6 – 7 kg) while the female dog weighs up to 11 – 14 lb (5 – 6 kg). The Border Terriers are friendly, obedient and strong willed dogs. The dog may become aggressive and stubborn. It likes to play along with the children and becomes adaptable to home environment very soon. The dog likes to sit and watch the surroundings and it has good hunting skills too. It becomes friendly with all the family members in a short time. 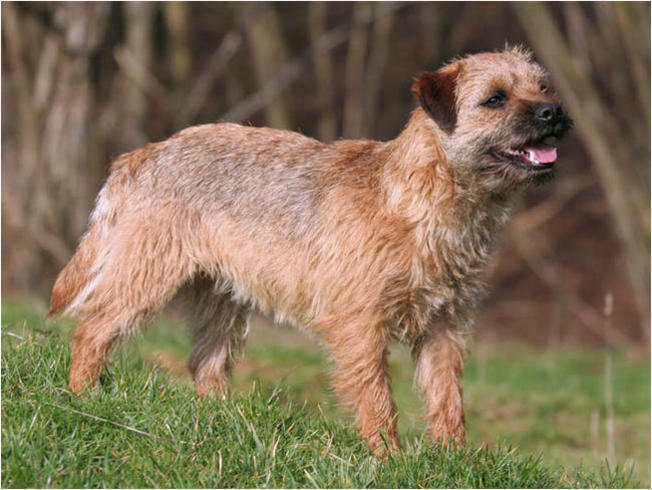 The Border Terrier dogs are healthy and fit but sometimes just like other dogs they may be prone to certain health disorders. The common health issues observed in this dog are perthes disease, hip dysplasia, progressive retinal atrophy, seizures, heart problems, juvenile cataracts, malocclusions, hypothyroidism, cryptorchidism and Canine Epileptoid Cramping Syndrome. Special diet is not required for this dog, but the owners should maintain the good quality dog food. Also, use clean drinking water and high-quality milk for the dog. It is recommended to prepare a food time-table for the dog which helps in avoiding the over feeding of the dog. 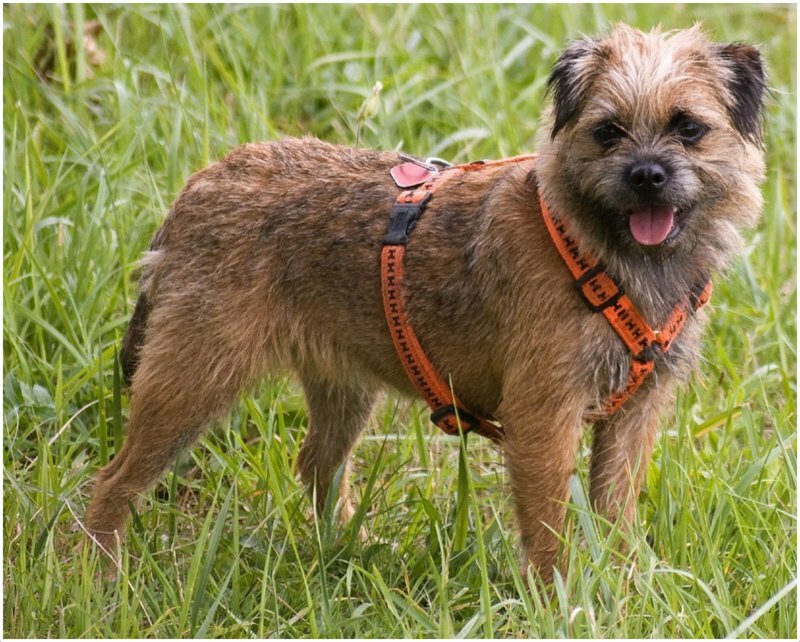 The Border Terrier dog suits in apartments only when it is given the sufficient exercise. 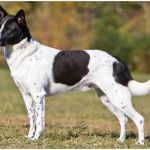 If this dog has a small-sized yard, then it can be very active and energetic. Make sure the yard is fenced as it may chase the small animals and may disappear from the owner’s eyes. 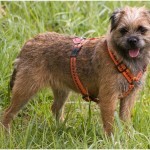 The Border Terrier dogs need regular exercise and daily walks. The dog stays fit and healthy only when the owners meet its exercise requirements. Limited exercise is sufficient for the dog and the owners should always keep an eye on the dog whenever it is outside. 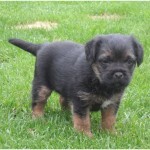 The Border Terrier dog can give birth to 2 to 8 puppies. On an average, it gives birth to 5 puppies. It is highly advisable to supervise the puppies until they attain the manageable age. The owners should always supervise this small-sized dog whenever it is on for daily walks. 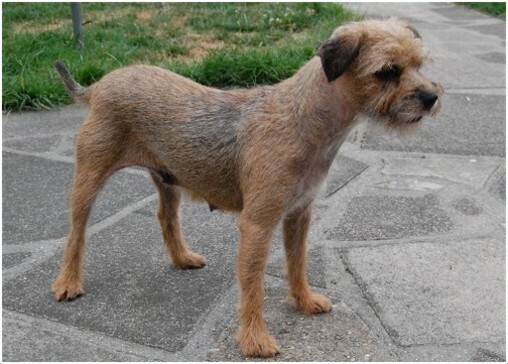 As this belongs to a terrier group, it is strong willed and likes to chase small animals. 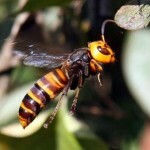 It may possess the danger from big animals due to its small size and so one has to take care whenever the dog is out. 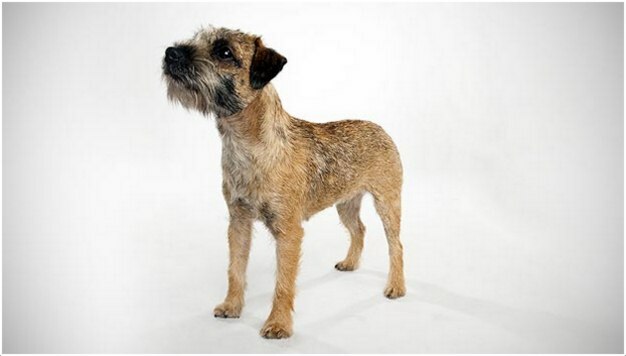 The Border Terrier dog is ready for breeding upon attaining a proper age. 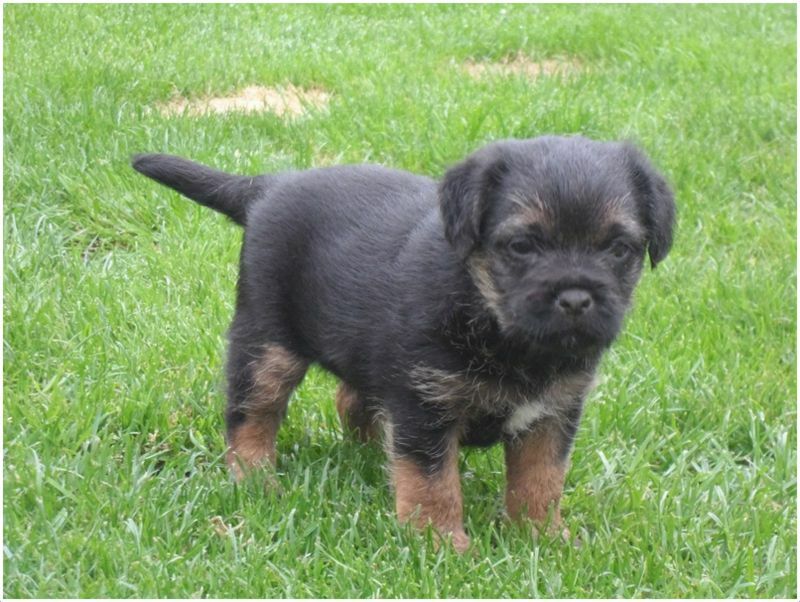 It is suggestible to have a professional breeding for the dog so as to get the healthy puppies. 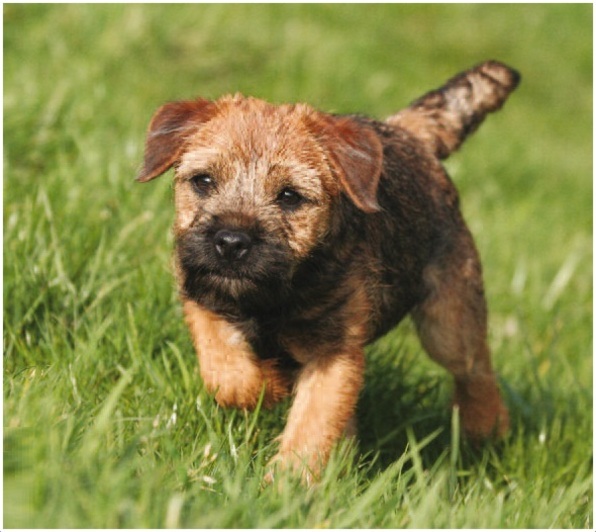 On an average, the Border Terrier can live up to 12 to 14 years. If the dog is raised well with good care and attention, then the dog can live more than 15 years. The dog should be brushed weekly and it is advisable to hand strip the dead hair every six months. Make it bathe whenever necessary and regularly check and clean the ears. 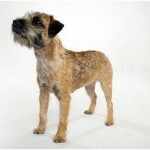 The Border Terrier dog is not a heavy shedder, it sheds little hair. Regular grooming makes the dog fresh and clean.